Send Purchase Data From Ecommerce Platforms Directly To iPresso! Marketers who use ecommerce platforms such as Shopify can now transfer the data about their customers’ purchases directly to iPresso. This is made possible thanks to the system’s new contact activity – product purchase. The new activity will give marketers direct insight into their customers’ purchase history. 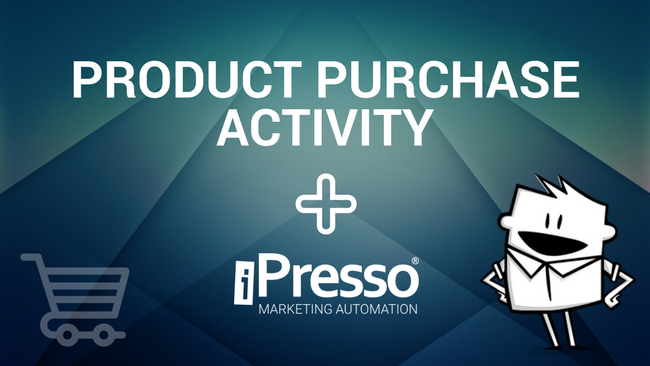 Precise information on the products they bought may then be used to conduct advanced and highly personalized upselling or cross-selling campaigns in iPresso. The new activity will allow marketers to precisely target customers with relevant and accurate messages based on the parameters of their purchase, such as the SKU, price, name, category, image URL (product’s picture). How can you use it in practice? Here’s an example the product purchase activity being employed by an online clothing store. Let’s say that we want to reach customers who bought various kinds of products with personalized messages to encourage them to purchase specific new items. We may specify that a person who has the product purchase activity relating to a suit – with parameter of price higher than 500 $, and belonging to the category of readymade suits – is going to receive an email campaign with an offer on a particular style of shirts. Those who bought a product from the wedding suits category may instead receive a completely different offer, one which will be more relevant to their needs. Similar marketing campaigns may be directed to other groups of customers. Those who have the product purchase activity relating to the purchase of a pair of shoes, may e.g. receive a special discount on socks, and those who bought a dress (of a particular, price, name, or category) may be offered a bag that would perfectly fit it.